Hosmer’s speech at the 2011 African Wildlife Consultative Forum (AWCF) held in Swaziland. Good morning everyone. My name is Joseph Hosmer. Over the past year, you will have noticed some changes to Safari Club International Foundation, we have improved our focus to make the Foundation an institution devoted exclusively on our core missions of science based wildlife research, improving wildlife conservation education, and increasing on the ground efforts for our humanitarian work. I am quite humbled to continue serving as the President of the Safari Club International Foundation. First, I would like to thank everyone for joining us for the 10th African Wildlife Consultative Forum. This year we have representatives from the countries of Botswana, Ethiopia, Namibia, Malawi, Mozambique, South Africa, Swaziland, Tanzania, Zambia and Zimbabwe; seven NGOs and scientific bodies; and representatives from seven professional hunter associations. The AWCF has grown significantly in 10 years, and we are looking forward to investing in this meeting for the next 10. We hope that throughout the coming year, you are able to discuss the importance of the AWCF with your colleagues who could not join us this year. By increasing participation annually, we can increase the effectiveness of our work improving wildlife conservation and management. However our work must continue if we are to build on our past successes. Africa continues to face great challenges in wildlife conservation. Human population growth and consequent loss of wildlife habitats will be a continual problem – globally – but especially in Africa. This is because Africa still has much undeveloped space and unexploited natural resources that will be of greater and greater value to both wildlife and humans. More urgently, the world is begging for a solution to put an end to rhinoceros poaching and illicit trade of elephant ivory and rhinoceros horn. In the past year we have seen dramatic increases in anti-poaching and enforcement efforts, but the problems remain. Perhaps today we will have some creative ideas shared to help us find solutions to the problem. I want to discuss with you today, and also throughout this week, how SCIF can become a resource for you, so that together, we can improve wildlife conservation in your countries and improve relations with the U.S. Fish and Wildlife Service. Over the past 10 years that we have gathered for AWCF, you have had the opportunity to work with our incredible staff; Matthew Eckert who manages SCIF’s conservation programs, our staff from the South Africa Office and George Pangeti who has always been such an asset. What many of you do not realize is that we have a larger staff working in Washington, DC; well positioned to meet with representatives of the U.S. Fish and Wildlife Service, or with members of embassy staff. It is my hope that at the conclusion of the 10th AWCF, we can collectively agree on principles of conservation that need to be improved with the U.S. Fish and Wildlife Service and others in Washington. Safari Club’s staff is ready to do more for conservation than we ever have in the past. We want to act not only as a partner, but more importantly, as your voice when we discuss conservation concerns with the U.S. Fish and Wildlife Service. By agreeing upon a core set of conservation principles at this meeting, Safari Club will be more proactive to improve wildlife conservation both at home and in Africa. We must continue to witness tangible improvements – across the continent – in wildlife management and the professional capacity of many of the people sitting in this room. We need to encourage our colleagues to attend AWCF next year. We need to inform more of our conservation partners, government officials and the general public about the incredible work that needs to be done to ensure wildlife conservation continues for future generations. I hope the cooperative spirit that lives in this Forum continues throughout this week and many years into the future. Good morning, my name is Joe Hosmer, and I am very thankful for the opportunity to speak on behalf of the hunter-conservation community today. The Safari Club International Foundation (SCIF) is a 501(c)(3) charitable organization that funds and manages programs dedicated to wildlife conservation, outdoor education, and humanitarian services. Since 2000, SCIF has provided in excess of $50 million in support to these causes around the world. SCIF has worked tirelessly to increase wildlife management capability throughout Southern and Eastern Africa through strategic partnerships with African nations and conservation NGOs. Currently, SCIF participates on the steering committee of the Multinational Species Conservation Fund Coalition and SCIF has participated as a member of the Multinational Species Coalition for well over 10 years. In our current role on the coalition, we assist in providing grassroots support for the species conservation funds. Safari Club International Foundation believes that the United States plays a pivotal role in international conservation. We further believe that the United States’ continued support for international conservation projects is necessary, both for the continued growth of wildlife populations, and for the stability of rural economies throughout many nations of Africa. For these reasons the Safari Club International Foundation strongly supports HR 50, the Multinational Species Conservation Funds Reauthorization Act of 2011. As an organization, SCIF is highly committed to wildlife conservation throughout the world, but we have a particular affection and interest for African wildlife species. I would like to offer the hunting community’s perspective on the importance of investing in conservation funding internationally. There is a tremendous return on investment that rural economies realize through effective sustainable use practices for wildlife management. SCIF’s Conservation Committee dedicates over a million dollars annually to global wildlife conservation, with a specific focus on conserving African species. SCIF’s leadership in Africa has led to the development of the African Wildlife Consultative Forum, which brings together African wildlife officials, representatives of the African professional hunter associations, international NGO’s and the U.S. Fish and Wildlife Services staff. At these meetings we have increased collaboration for sustainable use conservation programs, and we have improved relations to increase rural economic development around sustainable hunting. Other speakers today will touch on the incredible impact that the conservation funds have made for wildlife populations. I would like to speak specifically about the impact on rural economies that sustainable use and conservation of these species can have. The role of sport hunting today in many developing countries is vital to the very survival of communities. Using southern Africa as an example, sport hunting has been one of the main economic engines in rural communities. In many countries of southern Africa, agrarian or pastoral economies cannot flourish, due to limited land suitable for agriculture or grazing. In these areas, regulated sport hunting has been a consistent form of revenue for local communities. To take better advantage of sustainable wildlife use, many governments have begun Community Based Natural Resources Programs. These programs, in essence, devolve power from the central government so that locally created community councils can regulate and manage wildlife in their areas. Their mission is to utilize wildlife so that it remains a sustainable resource for their community. Successful community based programs have been developed across Africa including, but not limited to, Communal Areas Management Program for Indigenous Resources, otherwise known as CAMPFIRE, in Zimbabwe; Living In a Finite Environment, known as LIFE in Namibia; and other programs in Zambia, Botswana and Tanzania. These communal programs have been successful because they effectively create a financial incentive for the rural communities to actively conserve wildlife. Revenue retention schemes ensure that money generated from sport hunting ends up in the hands of indigenous people. In the case of sport hunting in southern Africa, communities in the most rural portions of countries reap the benefit of conserving wildlife through Community Based Natural Resource Programs. Here are some facts and figures on the positive economic impact that sport hunting has in Africa. Particularly in Africa, creating an incentive to coexist with wildlife has been a central reason why so many populations of species are now thriving. Elephants, rhinos and lions are the best examples of this dynamic at work. Of the 23 southern African nations that have regulated hunting, an overall trend of positive species population growth has been reported. The growing population of white rhino has been one of the most notable success stories. Unsurprisingly, in countries like Kenya, where wildlife utilization by indigenous people is extremely limited and where hunting does not exist, wildlife population levels are now low and in continuous decline. Trophy hunting in Kenya was banned in 1977 and this ban has resulted in an accelerated loss of wildlife due to the removal of incentives for conservation (Baker 1997; Lewis & Jackson 2005). As an organization, SCIF has not directly utilized the funds made available through the authorizing legislation. However, organizations that SCIF has partnered with in providing matching grants have been recipients of funding from the FWS. The investments that the U.S. government has made through the multination species conservation funds are necessary. They provide stability and continuity for ongoing wildlife conservation investments from other organizations, and from the hunters who travel to Africa. The MSCF certainly provides significant and measurable successes for a very small investment of federal dollars. I appreciate the opportunity to speak before the subcommittee today. 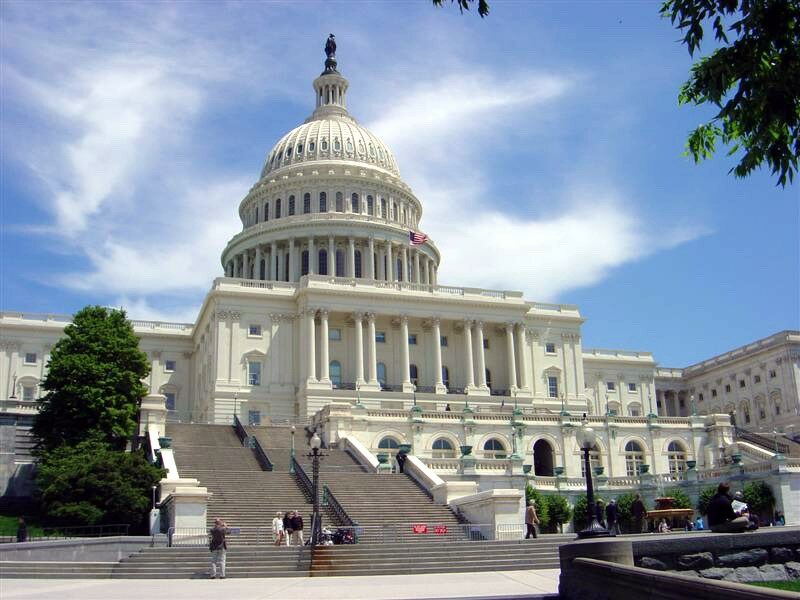 Washington, DC –Safari Club International Foundation (SCIF) testified today in front of the U.S. House of Representatives Fisheries, Wildlife, Oceans and Insular Affairs Subcommittee of the House Natural Resources Committee in support of H.R. 50, the Multinational Species Conservation Funds Reauthorization Act of 2011 which would extend funding for important conservation projects until the year 2016. As a result of the funding from the U.S. Congress, many grants, matching contributions, and in-kind funds have been donated to these programs from other organizations, host countries, and conservation groups. For example, as a result of the 2009 Congressional appropriation of $2 million for the African Elephant Conservation Fund, over $11.2 million in matching funds were received from outside sources and went to fund 33 African elephant projects. Safari Club International Foundation is an international non-profit 501(c)(3). SCIF’s mission is to support and promote hunting as a major benefit for wildlife conservation and the sustainable use of wildlife and to fund and manage worldwide programs dedicated to wildlife conservation, outdoor education and humanitarian services. Learn more at: www.safariclubfoundation.org. Joining Safari Club International is the best way to be an advocate for continuing our hunting heritage and supporting worldwide sustainable use conservation, wildlife education and humanitarian services. JOIN NOW: www.safariclub.org/Join. Washington, DC – Safari Club International Foundation (SCIF) is honored to announce their new partnership with the International Conservation Caucus Foundation (ICCF). SCIF has joined the ICCF as a member of the prestigious ICCF Conservation Council. The ICCF Conservation Council is an association of public and private sector representatives dedicated to international conservation. Members share a common desire to implement conservation projects safeguarding wildlife and biodiversity, protecting and restoring habitats, and generating economic opportunities and social benefits for surrounding communities that are the long-term stewards of local natural resources. Through strategic affiliation, SCIF and ICCF will advance international conservation and sustainability initiatives with balanced, sustainable solutions. Safari Club International Foundation (SCIF) is a 501(c)(3) charitable organization that funds and manages worldwide programs dedicated to wildlife conservation, outdoor education, and humanitarian services. Since 2000, SCIF has provided $47 million to these causes around the world. Visit www.safariclubfoundation.org for more. About ICCF: The International Conservation Caucus Foundation is an international non-profit 501(c)(3) organization. Inspired by the belief that conservation is a fundamental component to sustainable development, poverty alleviation, conflict avoidance, good governance, and regional security, ICCF encourages American policymakers, businesses, NGOs, and foreign governments to expand their leadership in the world to promote sound, long-term policies of sustainable land, water, and biodiversity management. Learn more at: www.iccfoundation.us. I want to extend my sincere gratitude on behalf of the Wisconsin Department of Natural Resources and the State of Wisconsin for your recent donation of two used pickup trucks to assist with our Investing in Wisconsin Whitetails Deer Research Projects. These vehicles are invaluable for our intensive field-based projects and have significantly increased our ability to trap, radio-collar and track deer across our study sites. We have captured 187 deer thus far. Currently we have radio-collared 134 deer and will be continuing to trap and monitor both adults and newly born fawns this summer. To address the significant workload involved with our deer projects we are coordinating two UW-Madison graduate students, ten volunteers, an intern, and hundreds of interested volunteers from the public. 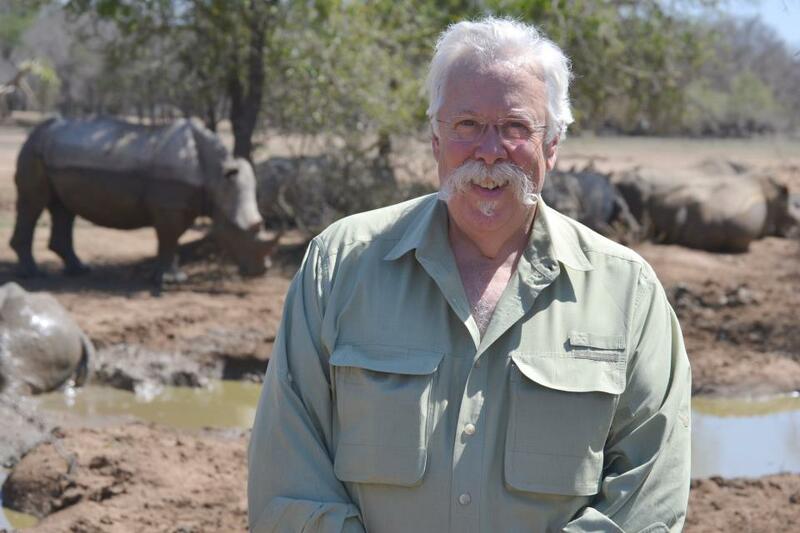 During the five year duration of this project we will provide Safari Club International (Mr. Matthew Eckert and Dr. Bill Moritz) with semi-annual updates on the progress of the projects and major results. We also want to thank Dr. Moritz and Mr. Matthew Eckert for their cooperation, interest and assistance with our research efforts. My staff have commented on how they have been extremely helpful, professional and a pleasure to interact with on deer management issues here in Wisconsin. If you or your staff ever want to visit our research projects here in Wisconsin don’t hesitate to contact either myself or our Science Services Bureau. We look forward to a long and fruitful relationship with Safari Club International! Thank You again for your contribution. Let me express my deep sincere appreication to you and your team for generous hospitality that I experienced during Safari Club International 39th annual convention in Reno, Nevada from January 26-29, 2011. It was great honor for me to be a part of a great community and participate in such comprehensive platform. In addition, I had fruitful meetings with other respected members of Safal Club International Foundation and politicial establishment. The Republic of Tajikistan takes into consideration active engagement of SCI in Tajikistan in hunting, conservation and wildllife management values its cooperation with SCI stands ready to further enhance and deepend them. Tajikistan is thankful for SCI for its sincere commitment towards improvement of wildlife management in Tajikistan. Please, accept my heartfel gratitude for the Award, I was honored to receive the International Legislator of the Year from SCI and the Award is a Trophy to be proud of and it has special place in my heart.